I was heartened to read this today. It’s Tesla the electric car company giving away its intellectual property to anyone who wants to use it. Given that the automotive market is fiercely competitive and not given to bouts of altruism this is a remarkable story. Admittedly Elon Musk has an innovator’s motivation for doing this. He is trying to foment an electric revolution in a conservative sector. And one on the best strategies for doing this is to create a new market. Sharing IP is a great way to do this. So is this an isolated case? In a completely different market I also read this article recently, Why Ownership is so Yesterday. Here Dominic Mills advances a similar argument to that of Elon Musk, noting that ‘the Unilevers of this world won’t necessarily own the technology they help bring to market. They might get the chance to buy the company, but the more entrepreneurial developers will prefer the licence model”. So where does 100%Open stand? As we said in our article IP=Intellectual Paranoia We believe that innovation isn’t just about ownership. It’s about generating value for those who invent and commercialise new products. 100%Open has always existed on the principle that we want people to ‘steal with pride’ our IP and methodologies. We believe that business as a whole should be more open and that this would benefit large and small companies alike. To that end we will shortly be launching our free 100%Open Innovation toolkit for you to download and play with. Watch this space! That’s journalism for you! I think this is closer to reality. I think he will find that Tesla’s patents are not the problem. Also, patents are not the only IP fruit and there is a wealth of IP within Tesla that is not available for free or in some instances for any price. Thanks Nick I’m no expert but it looks like Tesla are indeed giving a clear invitation to other manufacturers by agreeing not to sue them. It would be interesting to know what good faith is I agree. For 100%Open it is a Creative Commons attributable licence for example. Tesla’s case brings to mind the same kind of stage at Lego with Mindstorms and now Lego are leading co-creators. I think the Lego example is very different; a reaction to actual IP infringement threats and hacking etc and strategy to deal with that. Tesla’s IP is not being infringed and whats more is unlikely to be infringed. What Tesla is doing is as old as the hills in terms of IP strategy; its not that new. It makes real commercial sense when you are under threat. Plenty of reason why Tesla needed to do this. Its not altruism or even an “anti” patent stance, which is being spun by some (even Mr Musk….great PR :-))just commercial reality. Tesla’s patents are not as important as many think. 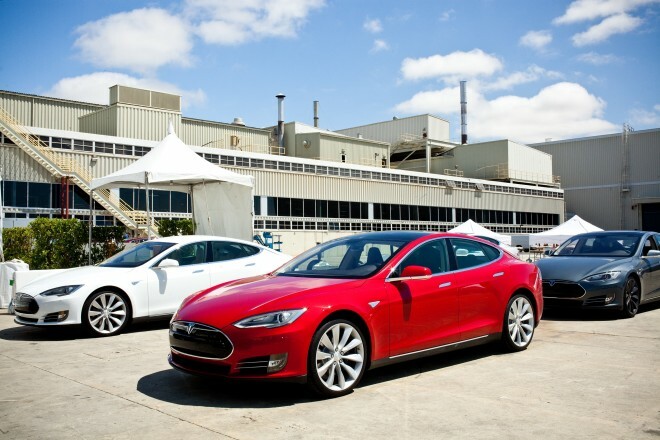 Tesla needs other manufacturers more than they need Tesla. This is a only part of a move to secure some standards in this space to try and keep EV alive…..it is under threat from competing technologies and is not a slam dunk alternative to gasoline. Don’t take Elon Musks observations on patents at face value. He is making a calculated move around IP and this is a pure IP play. On a general point IP is at the core of OI and its success. Someone has to own the IP and the IP aspects are actually largely irrelevant to effective OI. Its the attitudes to co-operation, co-creation and shared rewards that is the key. IP issues are a red herring a scapegoat for failure IMHO. Thanks again Nick, a great contribution. Yes I agree that having a clear IP strategy is important to Open Innovation rather than ownership per se. Elon Musk’s strategy is designed as a ‘challenger brand’ disruptive approach I guess and I clearly need to know more about what IP he is talking about and how valuable it is.